What is BitCore Studios? BitCore Studios is a Independent Development Studio created by Darrion DeMelo which was established early 2010 in Port Orchard, Washington. After releasing several titles such as the acclaimed ‘Mystic Mayhem’ on Xbox Live Indie Games, BitCore Studios is dedicated to creating genuinely innovative games across multiple platforms. Beyond the Infinite Abyss (PC) is a 3D action adventure that is played from an over-the-shoulder third-person perspective. The player controls Anna, a former space marine who now works as a security guard at an excavation site on Europa. Anna also has a faithful assistant, Alpha-1, a witty research robot created by the Intergalactic Special Forces to assist Anna with her travels. The excavation team opens a catacomb that was thought was empty, is actually teaming with life that has an evil intent on humanity. When they enter the central chamber, they are trapped and the excavation leader, Dr. Howard, is kidnapped. Now Anna must fight her way through an alien threat in an infested underground city to save humanity. Max crash landed onto a mysterious island. Meeting the king of the island, Max encounters the evil sorcerer Malwarp who has kidnapped the princess and took over the kingdom. The Staff of Wisdom has chosen Max and has granted him the power to fight back against Malwarp’s army of minions. Help Max find keys and doorways on the journey to reach the top of the mountain and save the princess! Collect keys to advance to the top of the mountain to save the princess. 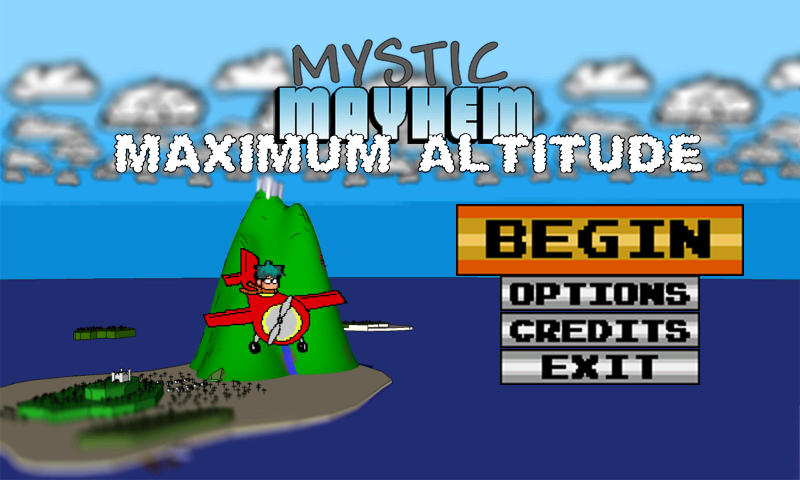 Pilot a plane and dodge obstacles and don’t die. 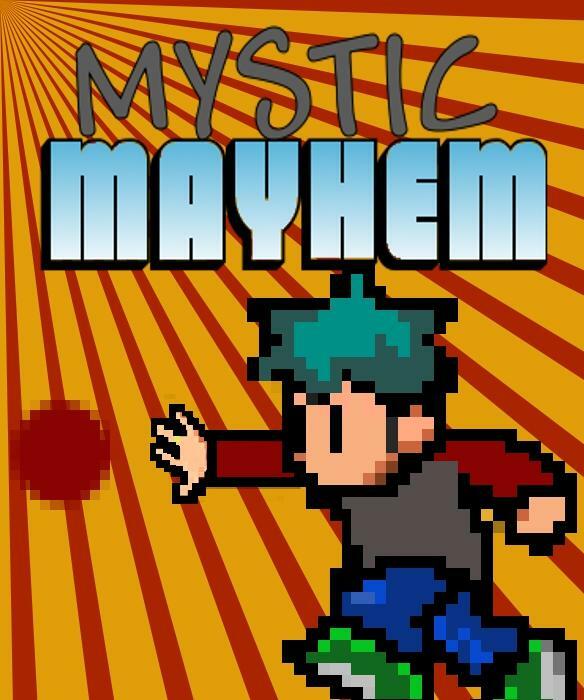 Help Max and his friends from Mystic Mayhem navigate through dangerous terrain. Watch out for items that can change you speed or gravity. Fly and Survive! Help Dr. Mazing save the planet! Battle ruthless robots and cold-blooded, merciless aliens in this epic journey to stop evil Lord Gazal Nim from taking over the planet. 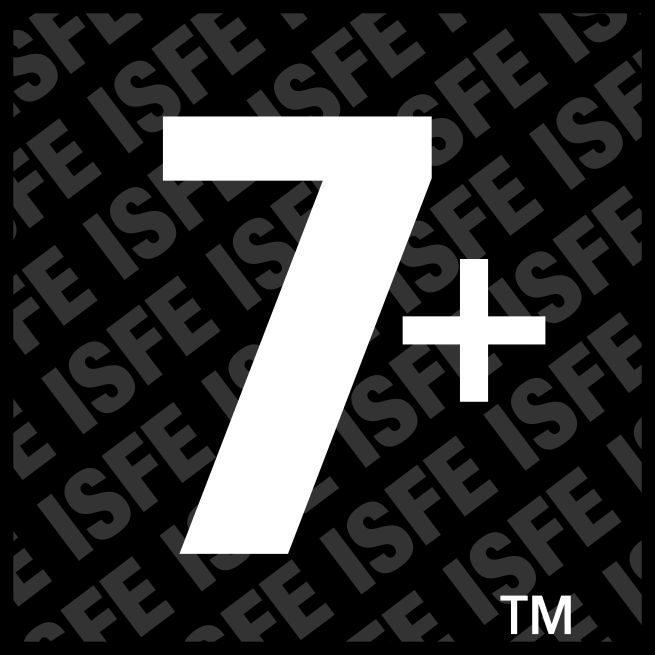 Up to 2 players can play (locally), 10 levels of robot busting mayhem.